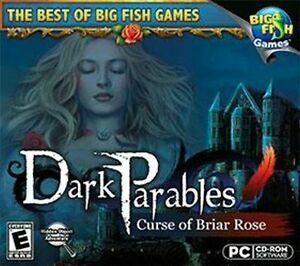 Players search through a Gothic countryside and castle to save a slumbering princess, in publisher Activision Value's specially packaged retail edition of Big Fish Games' downloadable seek-and-find adventure. The game presents a grim, more modern version of the famous Sleeping Beauty fairy tale. Players progress through the adventure by finding pieces of broken objects, which are hidden in detailed illustrations. By finding all of the missing pieces and reassembling the broken items, players create talismans and tools that allow them to overcome obstacles and move ahead through the story.